Qindar, a freeware crossword game for Windows XP. Quackle, an open source crossword game for multiple operating systems. LAMPWords, a program for Palm-compatible handheld devices which anagrams and looks up words. Aerolith, a web-based word study tool. 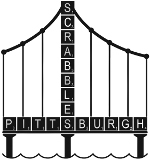 The Internet Scrabble Club, where you can play against people across the world.